We invite you to experience the beauty of tropical nature, the real essence of Phi Phi Island, far from the hustle and bustle of the crowded streets and parties, to a place where the spectacular environment and village life exists in harmony. Phi Phi Natural Resort rests on the largest swathe of land, rich in native flora and fruit trees, on the stunning headland of Laemthong Beach. 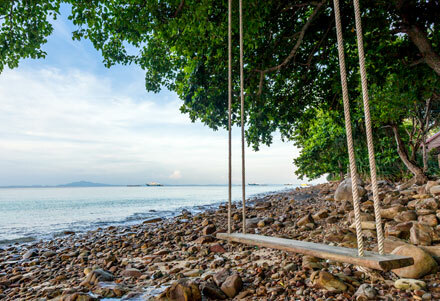 Spreading to the tip of forested hills for the most romantic sunsets, down to a stunning private beach that gently meets with the clear Andaman Sea. Our family-friendly hotel in Phi Phi Island offers children the space to explore nature and switch off from the digital world, and is the proud home of a sea gypsy primary school. Through inspiring eco-activities, tailor-made adventures and community initiatives we provide all guests with unique and lasting memories of island living. 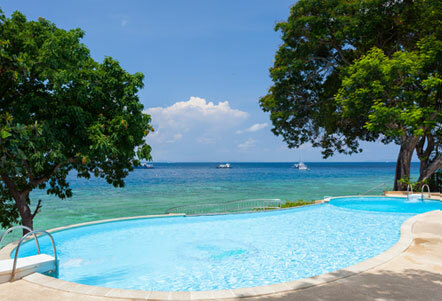 Phi Phi Natural Resort has 160 charming tropical cottages with modern facilities and amenities to suit romantics and families alike, generously spread amongst the most amazing nature. Feel at ease with our genuine warm hospitality and take each day as it comes, no stress, just relax and do as little or as much as you desire! When checking in at the breezy beachfront lobby, it is difficult to imagine that there are 160 guestrooms at this tranquil family resort on Phi Phi Island. While being escorted by buggy to your room, you get a first glimpse of the scale of this beautiful nature’s hideaway, where Thai style accommodations are dotted amongst the trees and gardens along the coast and up the hillside. 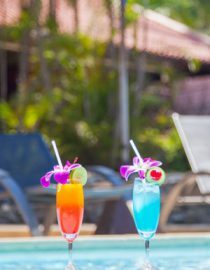 Relax in the peaceful ambiance of our family hotel on Phi Phi Island with two swimming pools, an open-air massage hut and a great choice of dining options. 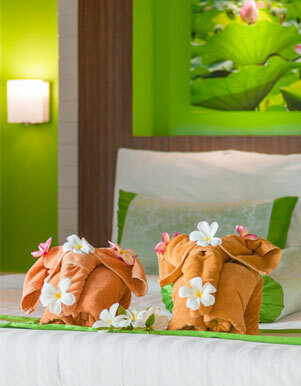 We provide a range of services to make your stay extra comfortable and encourage all our guests to explore the island and Andaman Sea with eco-friendly activities. 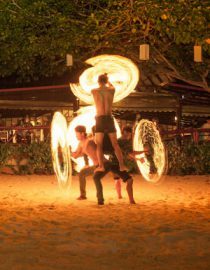 Phi Phi Natural Resort offers a unique range of eco-inspired activities designed to suit your personal style and schedule. We don’t have a fixed program of tours, you don’t need to wake up early or wait for more numbers to fill a boat; we suggest activities ad- hoc that we feel you will enjoy most. 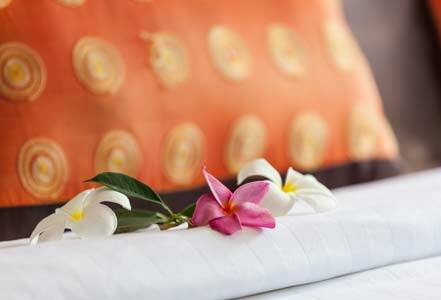 Enjoy alone or make new friends as you discover the nature and beauty of Phi Phi Island with us! Phi Phi Islands is an archipelago of six beautiful tropical islands in the Andaman Sea, about 1.5 hours by ferry from Phuket or Krabi. Phi Phi Don is the largest island and the only inhabited island in the group, where the passenger ferries arrive and the hotels are located. Please contact Andaman Wave Master if you are coming from both Phuket & Krabi.